Sometime during the summer my husband and I started researching places to visit for our first European holiday. 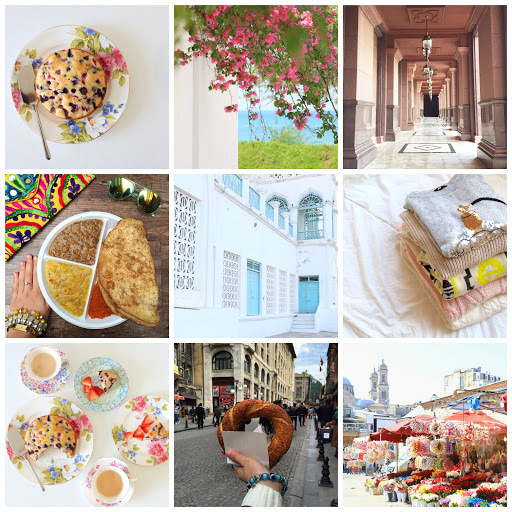 The more time we spent reading blogs and on Pinterest, the more fascinated we became with Italy. It seemed that every town was worth exploring and we couldn’t wait to see it all. When we finally started planning our holiday we knew that realistically we could only spare around 9 days including travel time. Never ones to be deterred by practicalities, we decided to make the most of our limited time, ignore everything we read online and plan to go everywhere we realistically could in that span of time. We booked an overnight flight from Dubai to Rome and landed in the Eternal City bright and early at 7:30am. The lines in immigration were insane and it took us around 2 hours to actually leave the airport. Once we were out we took a taxi and headed straight to our hotel which was around a 10 minute walk from the Coliseum. We stayed at the Hotel Infinito and I couldn't recommend it highly enough! It was affordable, quaint, and very centrally located! We got to our room, freshened up and headed out straight away. Having slept most of the flight we weren’t tired at all (one of the reasons I love overnight flights!). Our first stop of the day was of course, the Coliseum for which we had pre-booked tickets online. After the Coliseum we headed to the Roman Forum and from there we kept walking and ended up at the Trevi Fountain. We had had around 3 gelatos already by this point. Honestly, there are no words to describe how amazing Italian gelato truly is and I say this as someone who’s not a huge fan of ice cream or sweets in general! Also, if there's a panna cotta flavor then try it and thank me later! After exploring the rest of the area around the Trevi Fountain we had dinner and headed back to our hotel to rest up for the next day. Day 2 was our most ambitious day of the trip by far. We decided to wake up early and head to Trastevere as we had heard so much about this quaint village tucked into the middle of the city. And of course sometimes when you travel, things don’t always go as planned which is exactly what happened with us. We decided to take the metro to Trestavere but when we got off at the stop we discovered that the Trastevere on the metro route was a completely different place than the Trestavere we had wanted to visit! By this point we were running late for our 12:30 ticket at the Vatican so we rushed back and decided to try and go back later in the day. Luckily we got to the Vatican in time and spent around 2 hours there. From there we gave Trastevere another try and luckily we were successful this time! As a side note I would say Trastevere was one of my absolute favorite places in Rome and I couldn’t recommend it highly enough to anyone who visits. From Trastavere we crossed over one of the bridges on the Tiberius and headed to the Piazza Navona and from there to the Pantheon. From the Pantheon we decided to take a longgg walk back over to Trestavere for dinner as it has some of the best restaurants in the city. By this point we were exhausted. We had walked over 28,000 steps by this point and after dinner we took a taxi and headed back to our hotel. The funny thing was we thought the train we had booked to Florence was the next day so we had tried to cover as much as possible but when we got back to our hotel and looked at our bookings we realized we still had one more day in Rome! On day three in the city we decided to take a more relaxed approach seeing as we had already checked most of the major tourist sights off our list. We slept in and then headed to the Spanish steps where we sat and people watched. From there we headed back to the Trevi Fountain and spent the rest of the day aimlessly wandering throughout what became one of our all time favorite cities! On day 4 we checked out of Rome and boarded an early morning train for Florence. We had mapped out the places we had wanted to see beforehand so that we didn’t waste any time when we arrived. Florence is small and incredibly easy to cover on foot. Our first stop was the Duomo and then the Pointo Vecchio which didn’t take more than a few hours. On day 5 of our trip we got on the train again bright and early at 7:30 in the morning and headed to La Spezia which would connect us to another train that would take us to the five villages that make up Cinque Terre. Cinque Terre was the part of the trip I was looking most forward to and even though I was severely under the weather by this point I decided to make the most of the day and explore as much as I could. The train rides altogether took around 2.5 hours and our first stop when we arrived to Cinque Terre was the village of Riomaggiore. It’s always such a surreal feeling when you a place that you’ve dreamed about seeing for such a long time. From Riomaggiore we headed to Monarola and then Vernazza. We traveled to all of the towns by train which was included in our Cinque Terre day pass. I would have loved to go on the walking on the trails that connected the villages but we simply didn’t have enough time. From our experience, 1 day is definitely enough to cover most of what there is to see in Cinque Terre. The towns are very small and unless you sit down to eat or go swimming you’ll be able to see each one in around an hour. On Day 6 we packed our bags once again and headed to Venice. While it might seem like most of our time was spent in trains this certainly wasn’t the case. Italian trains are quick and efficient and unlike airports you don’t need to arrive hours in advance of your booking. When we arrived to Venice we dropped our suitcase at our hotel which was only 5 minutes away from the train station and started exploring right away. On the first day we let ourselves wander and get lost in the city as we had a packed itinerary for the next day. Venice is one of those cities where you will get lost so be prepared! The next day we headed to Saint Marc’s Square early in the morning and from there took an aperetto to Burano. After exploring the colorful, fairy-tale like island for a few hours we headed back to Venice and spent the rest of the day wandering. If you’re going to Venice I would highly recommend buying a 24 hour aperetto pass which allows unlimited use of the public water buses. We were unable to buy open jaw tickets that would have allowed us to fly back to Dubai from Venice so we had to go back to Rome. The train from Venice to Rome took a little over three hours and by the time we reached our hotel we decided to stay in as it ended up being much farther from the city center than we had expected. The next day we headed to the airport and flew back home concluding our trip. While there’s still so much left we want to see we were grateful that we could cover as much as we did in a span of just 9 days. I’m sure by now you all know that I love to travel. In fact, I would say love is an understatement. For as long as I can remember traveling has always been my biggest passion in life. Although I didn’t get a chance to go to many places as child I couldn’t wait to grow up and have the opportunity to travel. As someone who’s been compiling a travel list in her head since the ripe old age of 8, you can imagine that it’s quite extensive. Instagram, Pinterest, and travel blogs continue to feed my passion and as I grow older my list keeps getting longer and longer. I thought it would fun to list down all of my dream travel destinations online as I already have a notebook where I write them all down! If the city has a cross running through it that means I’ve been lucky enough to check it off my list! Let me know if any of the places on my list are on yours. PS. 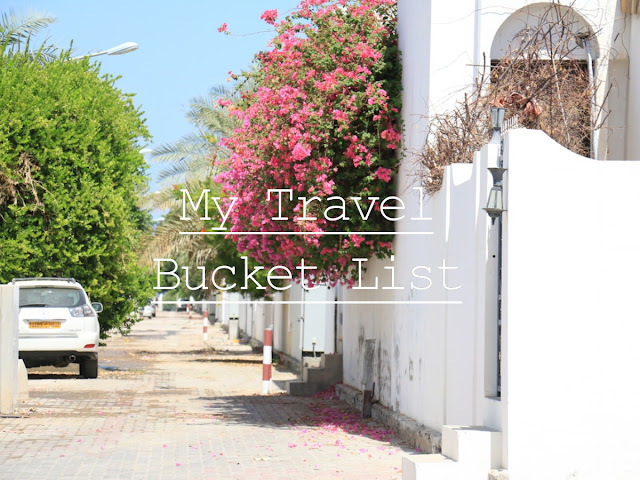 I’ve kept my list limited to cities, villages, and towns because it’s already quite long and if I begin to divide it by monuments and tourist attractions we’d be here all day! The list in is no particular order of preference! After spending an incredible four days in the Seychelles, I’m reluctant to admit that the island had never been high up on my list of places to visit. I don’t know what it is but I’ve found that the places I expect the least from always end up impressing me the most! This was certainly the case with the Seychelles. In the days leading up to my trip I wasn’t sure of how I would fill my four days on the island but by my last day there I found myself wishing that I could stay forever. From the moment my husband and I were greeted with warm winds and balmy sunshine on the tarmac of the airport we knew we had landed somewhere special. Once we passed the immigration counter at the airport we headed straight to our hotel, The H Resort Beau Vallon Beach. Taxis are readily available at the airport, and although they’re expensive, there’s no way to get around them. Getting from the airport to our hotel cost 600SCR which is about 165AED, much more than a 20 minute taxi ride would cost us here in Dubai. The good thing is that taxi rates are fixed throughout the island so you don’t have to worry about getting ripped off. On our taxi ride to the hotel we soaked in the gorgeous views from the mountainous roads. We found ourselves wishing that we stop and take pictures every few minutes! The locals in the Seychelles were so friendly and we quickly found ourselves in conversation with our taxi driver. He told us that in the Seychelles children learn to speak three languages in school – English, French, and Creole. The languages are staggered with Creole and English coming first, followed by French. This way everyone on the island is able to converse with one another and with the many tourists that come to visit. It’s also mandatory for all children to attend school from the ages of 4 – 16. I was curious to know about the government and he told us that the Seychelles is ruled by a socialist democracy but as with most countries, the population feels the government could be doing much more to for their people. Another really interesting fact we found was that food and imports in the Seychelles are very expensive because Somali pirates impose their own tax on everything that comes into island! We were so entwined in conversation that I was almost disappointed by how quickly we arrived at our resort. There’s truly no better way to learn about a country than by talking to someone who lives there. After saying our goodbyes we entered our resort we were immediately taken aback by how beautiful it was. The lobby had an ethereal seashell chandelier that made the most melodic sound as it gently swished from the breeze. Because the lobby was open from two sides we could see the clear blue water and white sand of the beach right away. Even though we arrived at the hotel around 10:00am the staff was kind enough to let us check into our room two hours early. One of the funniest moments of our trips occurred when after finding out that my husband and I are ethnically Pakistani, one of the guys working at the reception desk eagerly exclaimed that Shakti Kapoor along with his entire family were staying at the resort. We spotted them a couple of times throughout our trip but decided against asking them for a picture in case they found it rude. After freshening up in our room we were starving and tired. Even though we couldn’t wait to jump into our pool and lay out by the beach we decided to find food first. We headed to an Indian restaurant nearby located at the Coral Strand Hotel that we had read about online but when we arrived we found out that they would only open for dinner. We headed to a nearby pizza place instead and had a really filling and delicious Cajun style pizza with grilled fish and spices. We were surprised to find that pizza was a very common meal in the Seychelles and almost all of the restaurants we visited had it on their menu. After getting back to our hotel we spent the rest of the day lazing on the beach and taking dips in our pool which was included in our room. The main pool at the resort closed at 7:00pm but we could use ours at our own convenience which made for an even more amazing overall experience! If you’re planning to stay at the H Resort I would definitely recommend opting for the beach villa which includes a private pool. The small difference in price is definitely worth the amenities you’ll receive in return! When we had checked into our hotel the concierge had informed us that a local market takes place ten minutes away from our resort every Wednesday. We had completely forgotten about it until we ventured out to find a money exchange and walked right into it! The energy at the market was amazing. There were people of all different ages, locals and tourists alike. We couldn’t believe that so many people had come out to enjoy life and socialize on a weekday. It’s definitely not something we can imagine happening regularly in any of the cities that we’ve lived in. After sampling some local specialties including fried plantains and grilled fish we decided to call it a night and head back to our hotel. One of the most memorable experiences of our trip occurred on our walk back. The way to our room was along the beach and we couldn’t help but notice how bright everything looked. At first we thought there was a light coming from one of the nearby hotels or restaurants but when we looked up we were immediately greeted with the sight of what looked like thousands of radiant stars scattered across an inky black sky. The only way I can describe what we saw is to say that it looked like someone had thrown silver glitter into sky. I’d never seen anything like it, not even in rural Pakistani or New England. Had that sky been the only thing I saw on my trip, I still would have left being content. The next day was mainly spent in and around the resort relaxing. It was raining quite heavily and frequently throughout the day so we decided to postpone our plan of heading to Victoria, which is the capital city of the Seychelles. Victoria is actually the smallest capital city in the world and after seeing so many cute pictures of it on Pinterest and Instagram I couldn’t wait to get there and explore! When we asked people what the best way was to get to Victoria many recommended getting a taxi but a few also suggested that we try a local bus. A taxi would cost us 500SCR while a bus ride was 5SCR; needless to say we went with the bus! My husband and I always like to use local methods of transportation everywhere we go so figured this would be the perfect opportunity. As soon as we got on the bus I knew that this would be an experience I would never forget. The Seychelles is basically carved into a mountain which means there are lots of steep, winding roads with no side rails. Our driver was going around 80mph and I was sure that we would fall off the edge of a cliff. By the grace of God we arrived to Victoria safely and in one piece. Although I was terrified at the time I now look back on the experience and laugh! I’m so happy we tried the bus because it definitely gave us a taste of what daily life is like for the people who live in the Seychelles. When we arrived in Victoria we were eager to explore but the humidity was stifling. The rest of the island is humid as well but the heat from the cars and people in the city center made it extremely hot. After cooling down and buying some water at a small grocery store we began exploring. One thing we noticed was that people in the Seychelles are very laid back and friendly compared to almost anywhere else we had ever been. I think the fact that they live on one of the most beautiful tropical islands in the world probably helps! Victoria lived up to its reputation of being quaint and very small! We visited the Hindu Temple, the Clock Tower, the tourist market where we picked up a new magnet for our fridge and the admired the colorful exteriors of the colonial buildings. After about an hour of walking around we decided to head back and once again opted for the bus. The ride back was definitely a lot less scary compared to the ride getting there, probably because we were going uphill which made driving a lot slower. All in all, I would definitely recommend allocating a few hours to visit Victoria on your trip. I’d also add that before arriving we read online that the island is very safe and we definitely didn’t feel otherwise while we were there. Remember to keep in mind that everything in town closes at 4:00pm so plan to go early on in the day before the afternoon humidity sets in. All in all, I cannot recommend visiting the Seychelles enough. Prior to this trip I always preferred visiting big cities because I like having lots to see and explore. However, this journey taught me that vacations don’t have to be all about walking thousands of steps of a day and scurrying to see a new city in the timespan of a few days. I still remember around 8 or 9 months ago my husband and I were watching a travel documentary about the Seychelles on a channel called TravelXP. After watching the footage I was impressed with the beaches and views but I thought I wouldn’t be a fulfilling experience for me. Not only did I realize how I wrong I was, it’s also prompted me to add a few more tropical destinations to my travel list. If you have any specific questions about visiting the Seychelles, feel free to email me or leave me a comment below! For a blog titled Dreaming In Dubai, I've come to realize that I've written very little about Dubai so today I thought I'd share one of my favorite places in the city with all of you. Amidst the hustle and bustle of Downtown, it's easy to forgo everything and head straight into your favorite restaurant on the boulevard or to forgo the walk all together and go directly to Dubai Mall. My husband and I did the same until one day when the weather was so nice we decided to explore the area in a little more detail. We stepped into one of the residential abodes called Qamardeen District right next Vida Hotel and were blown away by how beautiful it was! All of the houses were covered with gorgeous fuchsia flowers and were constructed in a quintessential Middle Eastern manner with dark wooden doors and lantern lights. I could have easily spent the whole day wandering the small alleys but alas, the sun set and we headed over to Dubai Mall to grab a bite. Next time you're in the Downtown area, I would definitely recommend you wander off the beaten track and explore some of the neighborhoods in the area! Singapore has been one of my top cities to visit for as long as I can remember. I always had this image of myself walking around the Marina Bay Sands area and having my picture taken in front of the Merlion. However, when my husband and I decided we wanted to plan a trip somewhere this year, Singapore was far from our minds. We have a long list of places we want to check off over the course of our lifetime and we placed our priority on France, Spain or Morocco. Turns out, we couldn't get our visas ready in time for either destination so we racked our brains for more options and came up with Malaysia (which I'll write about in another blog post) and Singapore. We were able to get our visas ready quickly for both countries and without much planning, off we were to a part of the world we weren't expecting to visit for a long time! We arrived in Singapore quite late at night and we were really exhausted so we decided to go to bed and wake up bright and early the next morning. We only had three days there and a long list of places to see so I was really worried that we wouldn't be able to fit everything in. We were also worried about the weather, and by we I mean mostly me. The forecast was predicting rain for the entirety of our stay and I couldn't bear the thought of our trip going to waste because of rain. There was actually one night a week or so before our trip where I couldn't fall asleep because I was so worried about what the weather would be like! I'm embarrassed to admit all this now because thankfully the weather cooperated with us the whole time we were there. When we first arrived we were overwhelmed by two things - the humidity, and how clean the city was. We had heard lots of people say that Singapore is hot but coming from Dubai we weren't expecting much of anything but when we got there we realized they were not joking. The humidity levels were incredibly high and even stifling at certain points but we tried to ignore it as much as we could so that it didn't get in the way of our sightseeing. If you are planning a trip to Singapore, make sure to keep the weather in mind. Pack light, airy clothes and little to no makeup because you cant even fathom putting anything on your face with how hot and humid it is. Another thing to keep in mind is that the weather doesn't change at all during the year. It consistently stays hot and humid so it doesn't make a difference what time of year you plan your trip. I can luckily say that we were able to visit all of the places on our list, some of them even multiple times. We used the metro to get to and from everywhere. We always prefer to take public transportation where ever we go because it saves money, and it gives a more authentic experience of the city you are visiting. This post is just an over view of our trip so I wont get into the details of each place we visited (if you'd like more information about a certain place on our list feel free to ask in the comments or send me an email!). However, I will say that our top three favorite places from the list were Haji Lane, The Raffles Hotel, and CHIJMES. We actually had breakfast on Arab Street, right across from Haji Lane all three days while we were there. While I don't remember the exact name of the shop, it was a casual place that served the most amazing anda - parhatas we have ever tasted in our lives. My husband and I were joking that if we lived in Singapore we would have breakfast there every single day. Not only was it delicious, it was incredibly reasonable as well. You'll definitely notice this place if you're on Arab Street because its quite bustling and always packed. We felt really lucky that we came across it while we were there. There are a few other things to note about Singapore as well. They're not joking when they say they have really strict laws so do be sure to familiarize yourself with them before you arrive. Things that may be second nature to us like chewing gum or jaywalking (come on, admit it, we've all done it before) hold heavy fines and even a risk of jail time in Singapore. As with any country you visit it's important to respect their rules and customs so make sure to read up. After all, they don't call Singapore a fine city for nothing ;) Other than that, our trip to Singapore definitely exceeded our expectations. While we were expecting a typical expat city, we found a hub of culture, history and modernization all in one. It's not often that we get to experience a perfect weekend. We all make plans for the weekend thinking this one is going to be better than the one before but by the time Sunday night rolls around I'm always left wishing I had done something differently like fitting in more errands or getting more sleep. I had made no particular plans for last weekend and it turned to be one of my best weekends ever. I woke at my usual 6:30 am (thanks biological clock). Luckily for me my husband is also an early riser so I don't have to worry about waking him up in the mornings. I made a cup of tea for us and I finally flipped though my magazines that had been pilling up for weeks. The morning light streaming in from the window onto our bed was so gorgeous that I couldn't help but take a photo. I spent the rest of the morning catching up on my reading and by mid afternoon I got out of my lazy mode to bake some banana bread. Banana bread is my absolute favorite thing to bake! I can never get over how good it makes the house smell. After snacking on some bread we decided to head out to The Beach for a late lunch. I finally got a chance to wear my new bracelet that I bought at the Souk in Muscat (it's the gold coin one!). All of these combined to make such a relaxing day which is such a nice change from our normally fast paced life. It was amazing not to have to think about work or errands and it put me in such a great state of mind for the upcoming week. This was by far the best weekend I've spent in quite a long time. 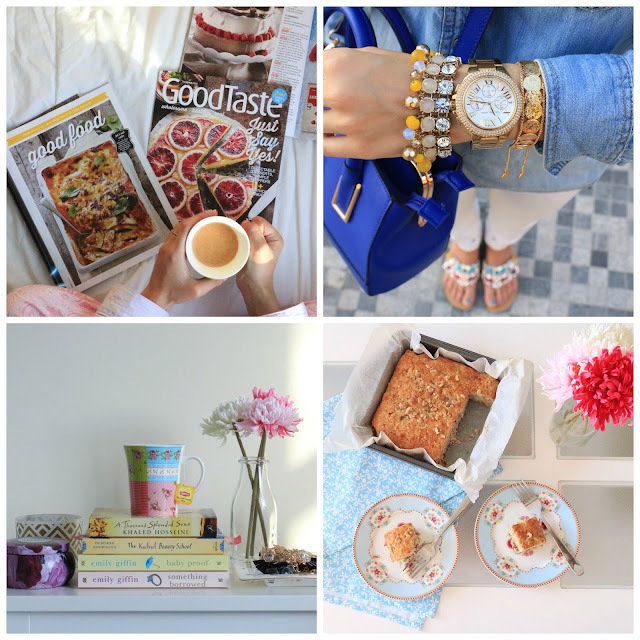 I'd love to know what your definition of a perfect weekend is! I'm a little embarrassed by how long it's taken me to get this blog post up. I'd actually had it written and queued up for weeks but between work, preparing for my trip to Pakistan(!!! ), technical difficulties on my blog and attempting to take care of my home it's been a struggle to sit down and actually publish it. I finally had a few spared minutes today and managed to make that collage you see up there. Anyways, enough my rambling. Let's get back to the actual post. One of the questions I most frequently get asked most frequently is how do I take and edit my pictures. I find this question quite flattering because I'm far from an expert. To be honest my husband helps me out with photography a lot and by helping I mean he takes a large chunk of my pictures for me. I do like to take credit for the creative aspects though! I think we make quite a productive team with his technical skills and my creative compositions. It's all about the balance after all. There are a couple of things I've learned along the way that have helped me out tremendously when I do take my pictures. Most of our pictures are taken with our Canon 70D that my husband and I impulsively splurged on before our trip to Turkey. It's actually turned out to be our favorite purchase ever. Our camera has allowed us to really learn and experiment photography and take it one step above iPhone pictures. The tips I'll be sharing today apply to all cameras, both iPhones and DSLR's. (I'm working on a separate post just for DSLR's!) I hope these tips answer the questions that so many of you have. If not please leave me a comment below! Unless you have extensive knowledge of your dslr and lenses it can be impossible to take good pictures under artificial light. Light bulbs tend to cast a harsh yellow or blue shadow on pictures resulting in a lack luster photograph. Natural light on the other hand provides a natural glow to pictures that make for a gorgeous photograph. Don't be afraid to experiment with different types of natural light. Play with shadows, harsh light, dull light etc to see how they impact your pictures. The only way you will learn what light works best for your taste is to experiment. I prefer the bright light that shines through my apartment in the afternoon. This sometimes causes delays for me if I don't get home in time to shoot my pictures but I would rather wait until the next day to get a great photo than to take a photo in light I don't love. When it comes to aesthetically pleasing photographs, composition is key. Whether you're taking a flat flay, food photo, or nature shot, if you don't compose your shot in a way that's pleasing to the eye it won't look good on camera. Play around with your props, objects, whatever it may be to find the shot that looks best. Explore different angles and settings to find what works best. I often take 20 different shots of the same thing before I find a composition that I love. Chances are if you've taken a great photograph you won't need to edit it drastically. When I first started taking pictures I would saturate them until they turned neon. For some reason strange reason I thought they looked best that way but I've slowly come to realize that when it comes to editing, less is actually more. Now, I like my pictures to have a natural look so I hardly ever use filters or editing tools on them. For me filters are a hit or miss, sometimes they can transport a photo into another realm but most of the time they make a picture look discolored (not in a good way), grainy, and distorted. My favorite tools to use for editing pictures are the tools available on Instagram itself which allow you adjust saturation, brightness, shadows etc. I find that these tools make the best impact on pictures. You'd be surprised at what a difference increasing saturation or brightness can make on an image! One of my biggest pet peeves when it comes to pictures are when they are crooked. Crooked pictures throw off the entire balance of a picture. It's best to make sure that you're holding the camera straight when you're shooting. This is very easy to do if you have a phone camera but it can take a little time to master if you're using a dslr because they tend to be more bulky. Luckily there are a number of apps you can use to straighten a picture my favorite of which, surprise, surprise is the Instagram editing tools. The best part of the straitening tool is that not only can you use it to straighten a picture horizontally, you can also pull the photo in different directions (not sure if that makes sense!). But trust me, it makes a huge difference especially if you've tilted the camera up to take photos. This rule goes along with composition but it's so important that it deserves its explanation. The rule of third is when the composition of your picture is divided into thirds, either horizontally or vertically. This means that the subject of your image falls along one of the thirds. This rule is hands down one of the easiest ways to create an interesting composition in your photo. Rather than having the subject in the middle, if the subject lies along one of the thirds it will create interest in your photo and draw the eye to the subject automatically. I use this rule in almost all of my pictures by having at least one of the subjects of my photo fall along the third lines. You can either imagine the lines in your head when taking the picture or you can use the grid function on your iPhone camera to see where the lines fall. I hope these tips are helpful! I will be doing another set of tips that are specifically for dslr's very soon!